Welcome folks! We got figures O' all shapes an' sizes! 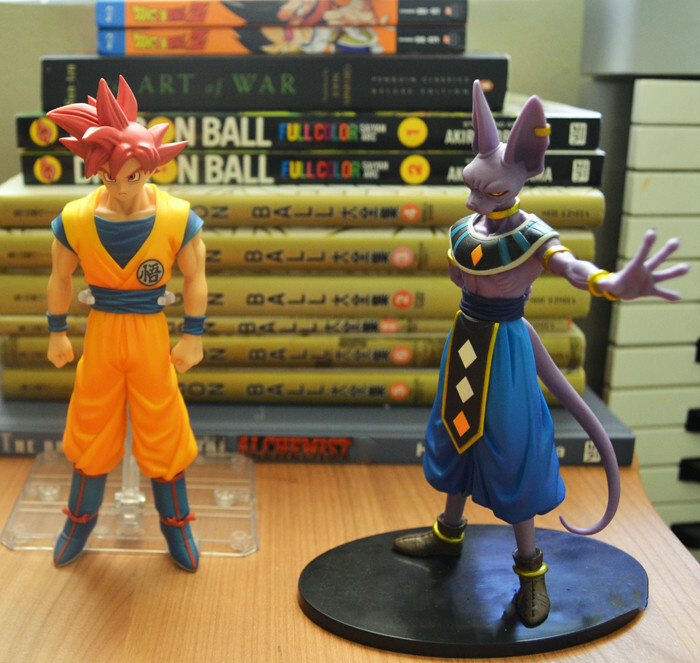 As a kid, my friends and I loved Dragon Ball, as well as collecting and battling a variety of figures. In my childhood years I amassed a modest collection of SBC, Irwin, and Jakks. 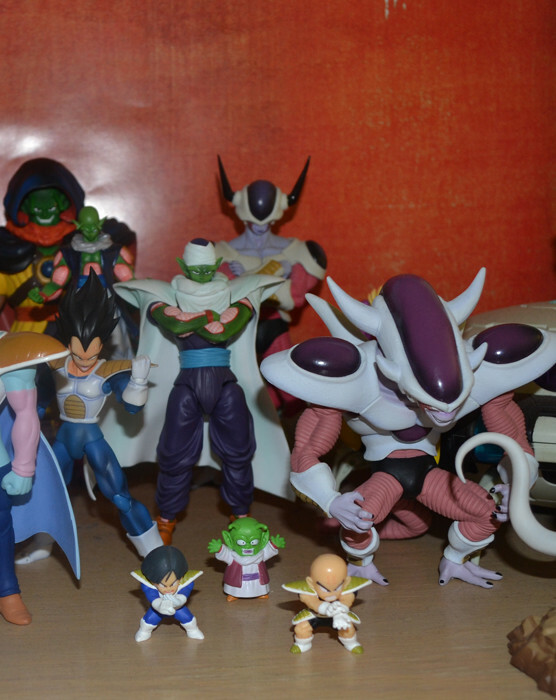 When the first Figuarts emerged, I became aware of the vast varitety of DBZ figures available in Japan, thanks in great part to this site's spiritual predecessor. Last September (2013), I became serious about collecting and displaying my "setups" as i dub them. I made a list of everything in the db/z world that i thought was worth being represented, sorted by saga. Nice collection, I like how you're trying to be as accurate as possible with the scale in most of your figures. We want to see your whole collection!!! 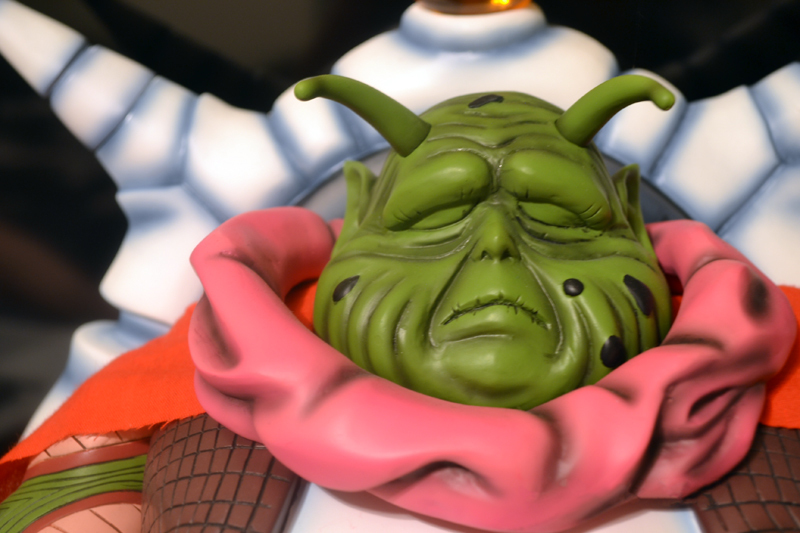 Can you post a pic of your deformation Dende with your hscf Frieza form 1 when you get a chance tp? Sure, ill get you guys those pictures when i get home later today. M5, do you still want a picture of LOS king vegeta with figuarts vegeta? Umm... since you're taking requests! I wanna see your whole collection bro. Full Collection displayed, now that exceptional pictures have been taken and adequate saiyan saga and cell saga goku's are present. SupremeKai : YOUR WISH, HAS BEEN GRANTED!! I'm gonna be uploading more pics in the meantime to be posted soon. Branjita and @m5jagdragonpanzeriv , i didnt forget about you guys, im just lazy and have bad memory lol. will post your pics soon as well. 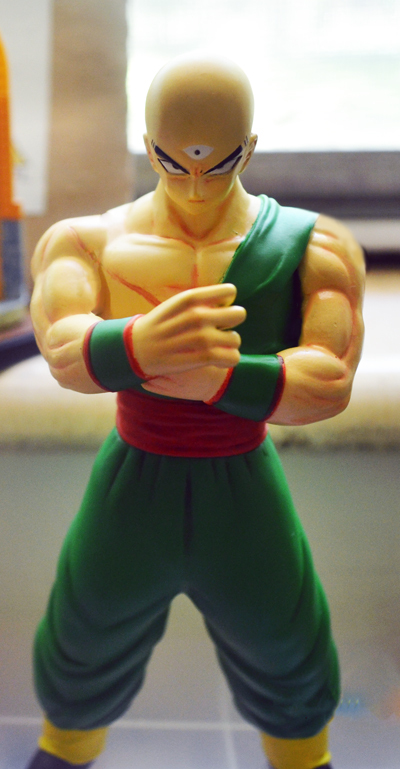 My Sofvi Tien I did a bit of customizing to make him pop, and he is Fcking Glorious. Holy crap, man. You mind sharing what paint you used on Tien? He looks freaking incredible. I'm really damn tempted to do that to mine, now. 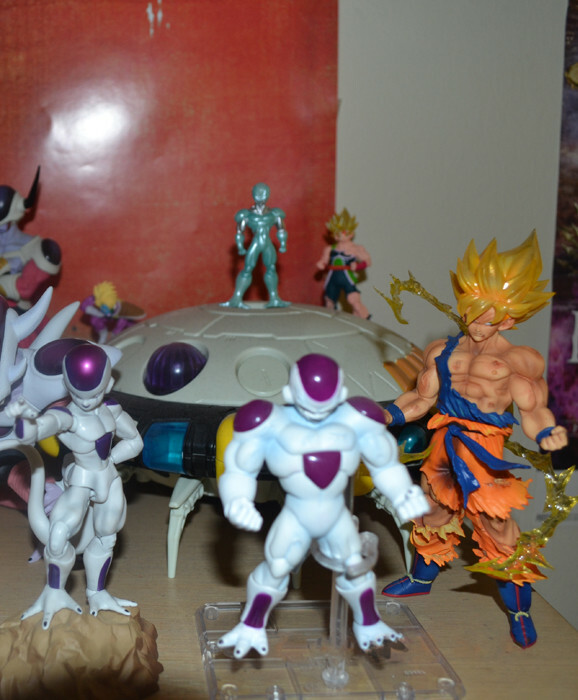 I just love your Namek/Saiyan display. I've gotta get myself a Dragon Box Goku sometime. Your Cell/Android display is pretty damn cool, too. 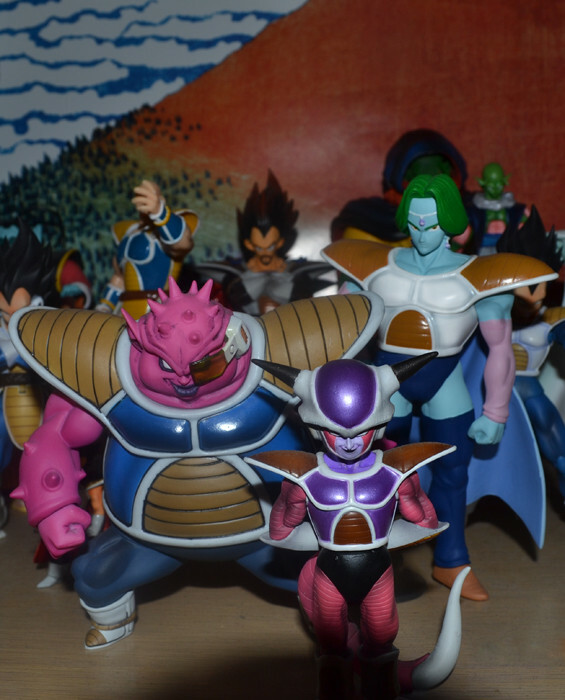 Which Super Buu is that in your Buu display? Awesome set up. Everything looks great displayed by saga. Which Super Buu is that in your Buu display? Ah, I was hoping it was something a little less chubby... Thanks anyway, man! The Great Saiyaman , yeah man, its the striking Z super buu. Can always count on Aussie to get you an ID! Personally, i dont see it as chubby, he looks thick and msucular, which fits my interpretation of super buu, and i really like his smooth rubber texture. but ya know. And about Tien... no paint my friend :har:heheh. Its my special form of "editing" that is very simplified and somewhat adapted from my experience with gundams. I use some of my art supplies and just apply and move lighter inks around with simple subjects like tooth pics and cotton swabs. i use .005 microns for the lining around eyes lightly which is essential in my eyes for recreating toriyamas iconic eyes and giving character. Same with the expression marks; markings under the eyes and between the furrowed brow. This to me even includes bulges in muscles and creases in pants so I hit these areas with darker ink. Sweet collection! I had to laugh at the SBC duckbilled Goku head stuck on the SDCC SS Goku body. 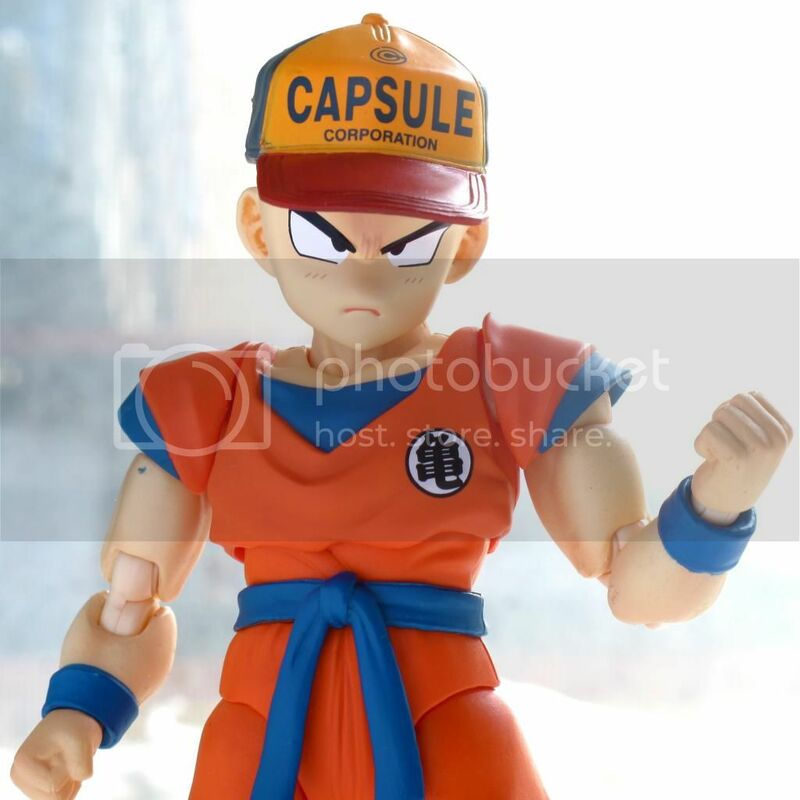 I tried the same thing with my Vol.00 Goku's heads, but I wasn't too fond of the results. Another thing to note was I never would have imagined that Oozaru figure was so darned huge, look at that thing it is humongous! Haha thanks SupremeKai , I've had that wack goku like that for a year and a half dying for shf goku. He's really not so horrible but the suffering isnt over yet for us preorderees. 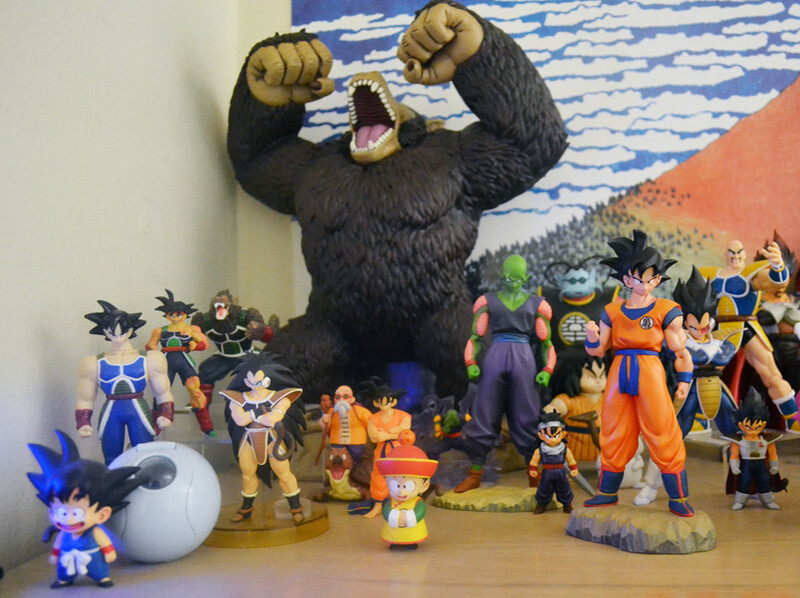 Anyways, the Oozaru instantly became one of my favorite pieces / focal point for my display, just upon scale. I think its perfect for gashapons honestly which is heaven sent. Some Detail ya bih...ya bihh..ya bih. fantastic collection!!! i really like how your collection is made up of different figure lines.